Looking to get back on track after the first TKO loss of his career, Julio Cesar Chavez Jr. heads to El Paso Texas to face hard-hitting Marcos Reyes July 18 at the Don Haskins Center. The two men are expected to fight at the Super Middleweight limit of 168lbs. a weight that Reyes (33-2, 24KOs), who has won 20 of his last 21 fights, has never fought at. Chavez (48-2-1, 32KOs) who weighed in for his last bout at 171.5 lbs. hopes this helps spark another run at world title at Super Middleweight. 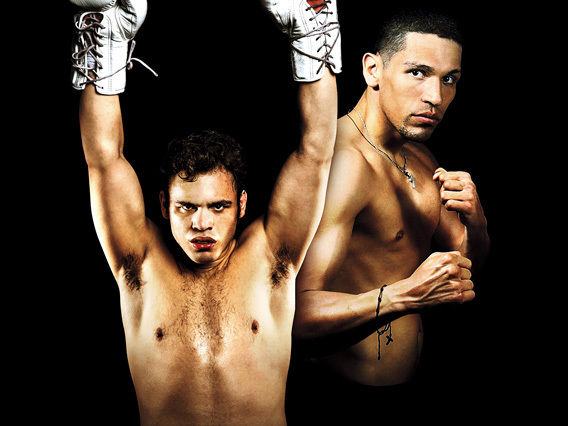 The Chavez Jr. vs. Reyes bout serves as the main event of the evening for Showtime Championship Boxing doubleheader which includes a fight for the vacant IBF Super Flyweight championship between Puerto Rico’s McJoe Arroyo (16-0, 8KOs) and the Philippine’s Arthur Villanueva (27-0, 14KOs). Ticket prices are for the Showtime Boxing card are set at $25, $50, $75, $100 and $200 plus applicable service charges. Military and student tickets are slightly $18.75, $37.50, $56.25 and $75.00, respectively, plus applicable service charges. Tickets can be purchased by calling the box office at (915) 747-5481. Tickets purchased for Showtime Boxing (5:30pm MT) will also include admission into the Premiere Boxing Champions card which will be held earlier that day at Noon MT. On that bill Northern Ireland’s Carl Frampton (20-0, 14KOs), in his fight boxing appearance on U.S. soil, will defend his IBF Super Bantamweight bout against Alejandro Gonzalez Jr. (25-1-2, 15KOs).